Open this image on your macbook and project for students. Discuss the importance of each bullet point but either asking questions or allowing for student input. All but the last point has a short video below the list of points to discuss. Use these to support conversation and answer questions. On the last point, you can refer to the video above by playing the first 25 seconds. - Give Credit for images or information I use online. 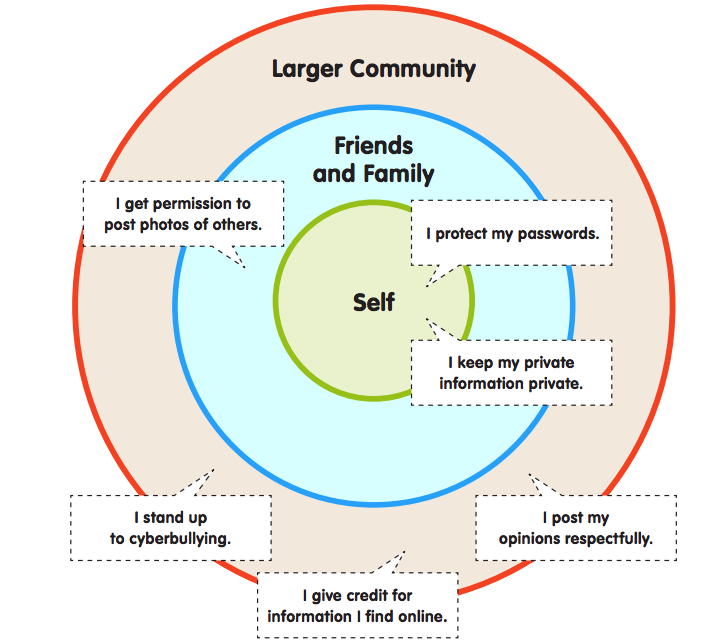 - Ask friends and family before posting images of them online. - Be respectful when posting online. - keep personal information offline - Remember your Yappy!